« September Edition of Social Media For Fitness Professionals Released! In this presentation, which was given at the World Fitness Business Owner’s Event, I teach you how to maximize your income as a modern personal trainer. These are the same type of concepts I teach in my private mastermind group at the Superhuman Coach Network. 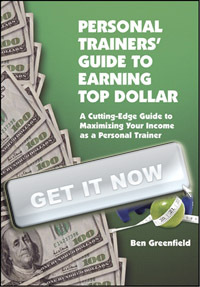 Questions, comments or feedback about “How To Enhance Your Income As A Personal Trainer”? Leave them below.